Janelle Tennant and Gympie-Cooloola Rotary Club president Karen Brus. LAST weekend's Opera in Springtime at St Peter's Anglican Church in Lady Mary Tce was hailed a great success, and opened the eyes of many local residents to the joys of opera. 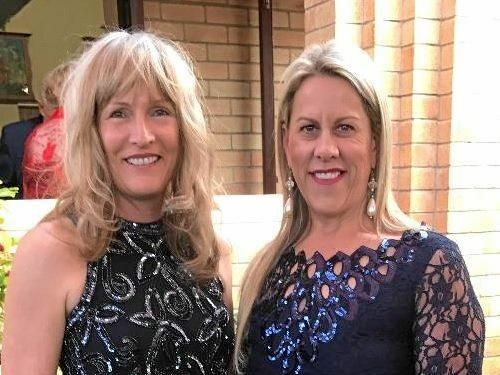 Organised by the Rotary Club of Gympie-Cooloola, in conjunction with Opera Queensland, the event included wine and canapes beneath a spring sunset. Proceeds from the event will be allocated to Rotary projects locally and internationally including Cooinda, Little Haven, and Rotary Projects in Cambodia/Vietnam and Soloman Islands.